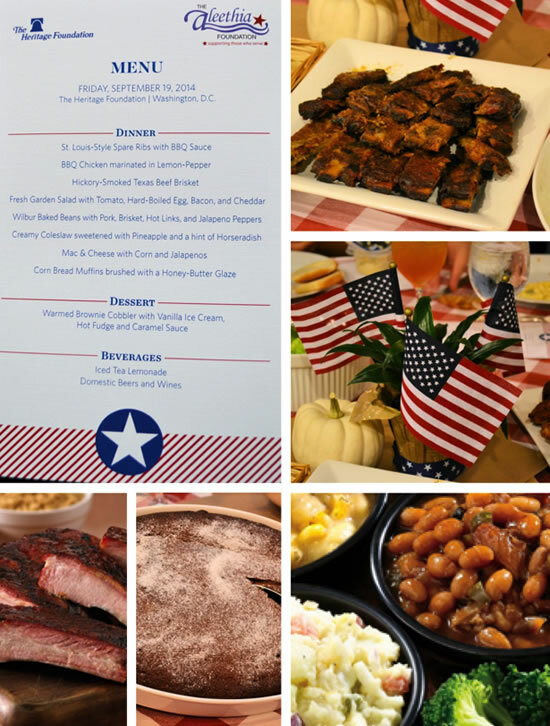 It was an All American BBQ menu with Bluegrass Music for Aleethia’s “Friday Night Dinner” held on September 19 at the Heritage Foundation. 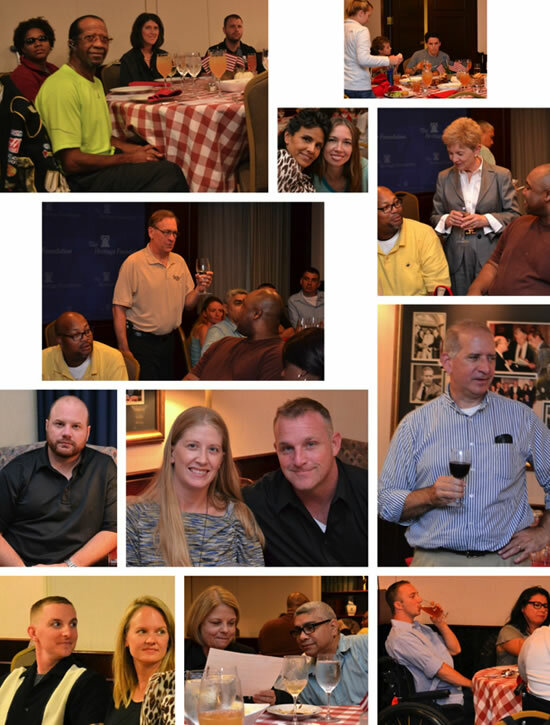 The dinner was hosted by Bridgett & Steve Wagner whose son-in-law was injured in 2009 and attended several Aleethia Friday Night Dinners during his recovery at Walter Reed. 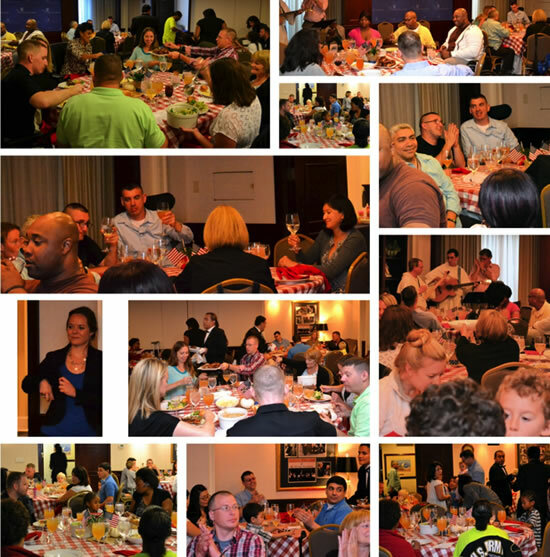 Over 54 wounded/injured/ill service members, their families and guests enjoyed a delicious menu of BBQ Ribs, Chicken, Beef Brisket, garden salad, mac & cheese, corn muffins and more …all served family style. The children had fun at an activity table of arts and crafts that included decorating white pumpkins for them to take home. 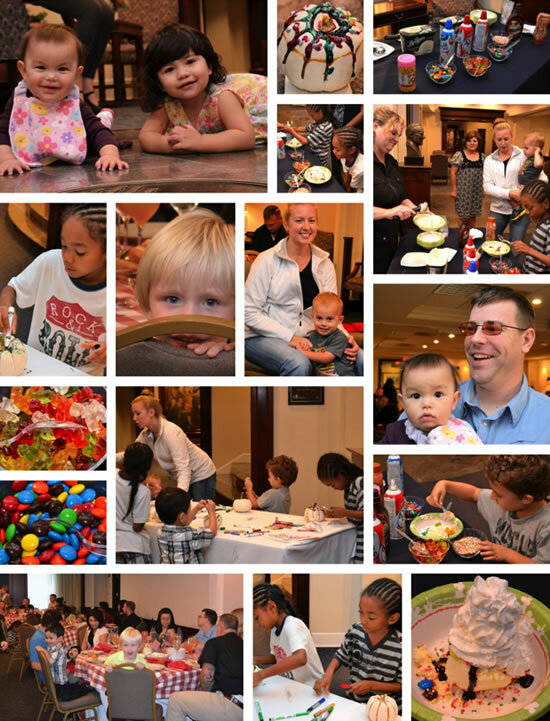 Also, a special dessert sundae station was set up for our little guests to have more fun in making their own ice cream sundae. 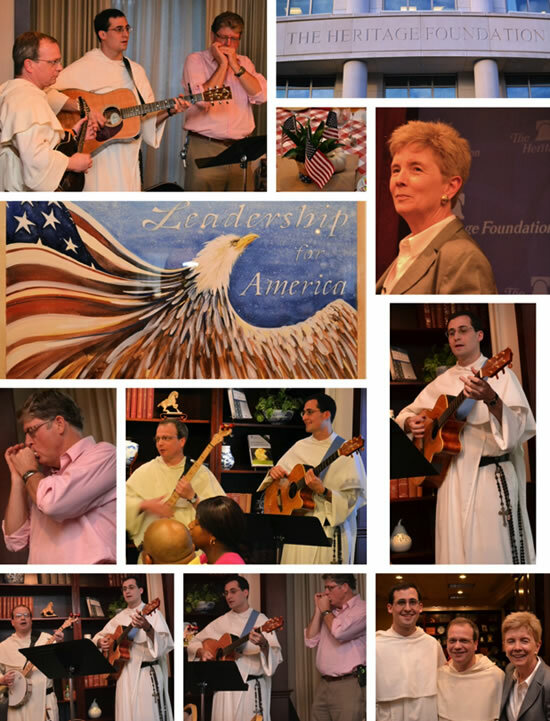 A special treat for the evening was bluegrass music performed by Dominican Friars/Province of St. Joseph of Washington DC. Aleethia extends a special THANK YOU to Bridgett, Lori, Renee and others in planning such an awesome night!